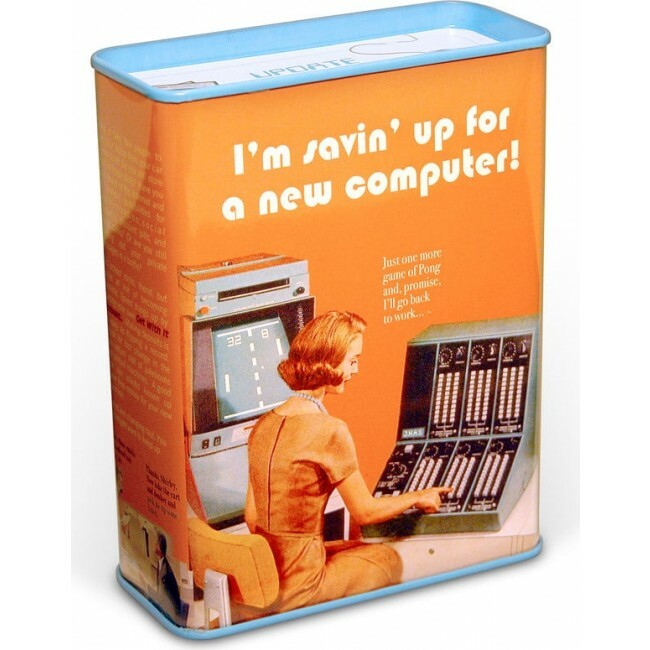 Tin Bank - I'm Savin' Up For A New Computer! Do you still start your computer by rubbing two sticks together? It may be time to update. 3.5" x 4.5". The Original CASH STASH. 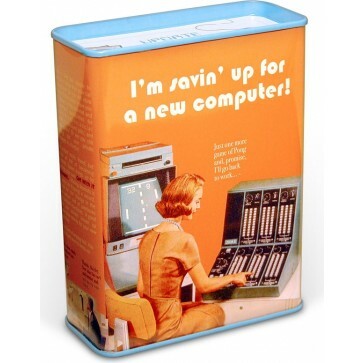 You're reviewing: Tin Bank - I'm Savin' Up For A New Computer!